You might not agree with Donald Trump's politics or hairstyle choices, but the man knows luxury. Trump Hotels are in a league of their own, with amenities that cater to your every whim. 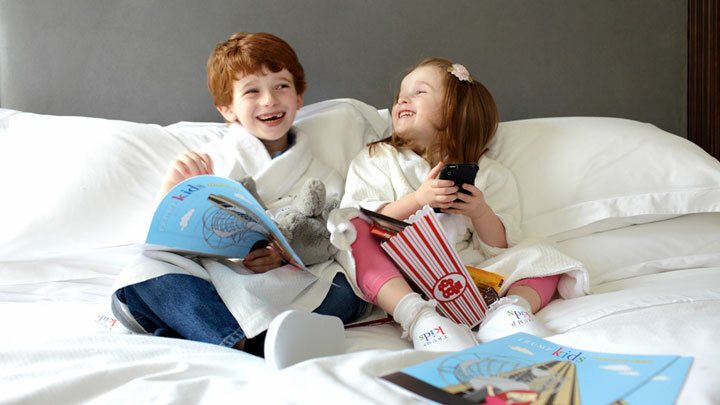 You might not know that these amenities extend to every member of your family, from your kiddos to your canine companions. Trump staff are there to help you have the most enjoyable stay you can imagine. 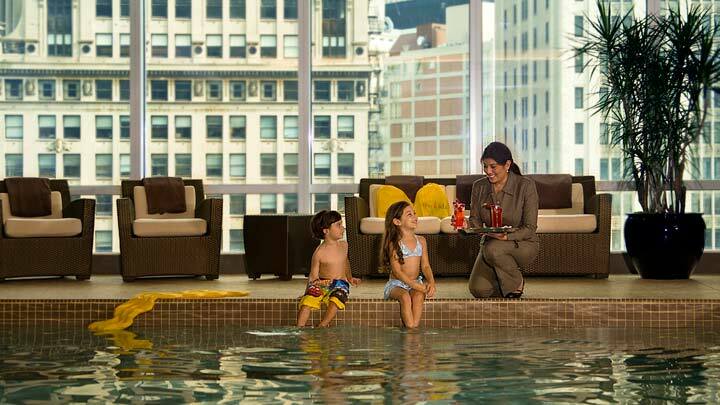 When was the last time someone brought you some poolside refreshment in an urban oasis? Of course, if your kids are as imaginative as Roo and Jasper are, it's probably a good idea to keep some boundaries in order. As part of the Trump Wellness program, an integrated nutrition and fitness plan that keeps your goals in sight even while you're on the road, little ones can order off the Healthy Kids Menu. It's kid-friendly but reassuringly nutritious for busy, travel-addled parents. Vegan, gluten-free and organic offerings are made with locally sourced ingredients, with menu items including cheesy egg scramble with roasted potatoes; multigrain pancakes; apple nutella snack with raisins and dried cranberries; grilled salmon with wild rice and steamed asparagus; and petit filet mignon with roasted potatoes and steamed broccoli. In accordance to the FTC Guidelines and the WOMMA Code of Ethics, I am disclosing that I received this information in a press release No compensation was received.. All opinions are, as usual, entirely my own.